One of the hardest things about eating healthy for me is that for some reason I think that healthy things are bland and don’t taste as good as the other comfort foods that me and my family enjoy. Well I was definitely wrong about this!! 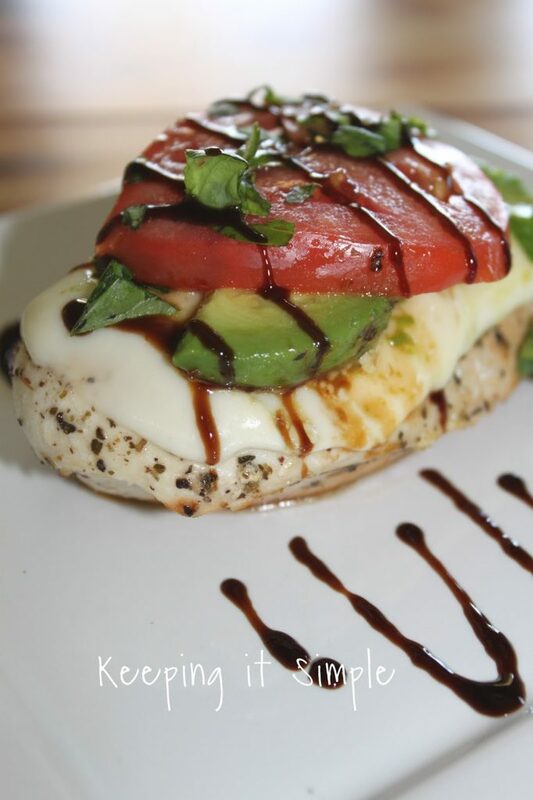 It’s amazing what some simple, natural and fresh ingredients can do to a piece of chicken! My family loves chicken but I wanted something more than just grilled chicken that I knew that everyone would enjoy. 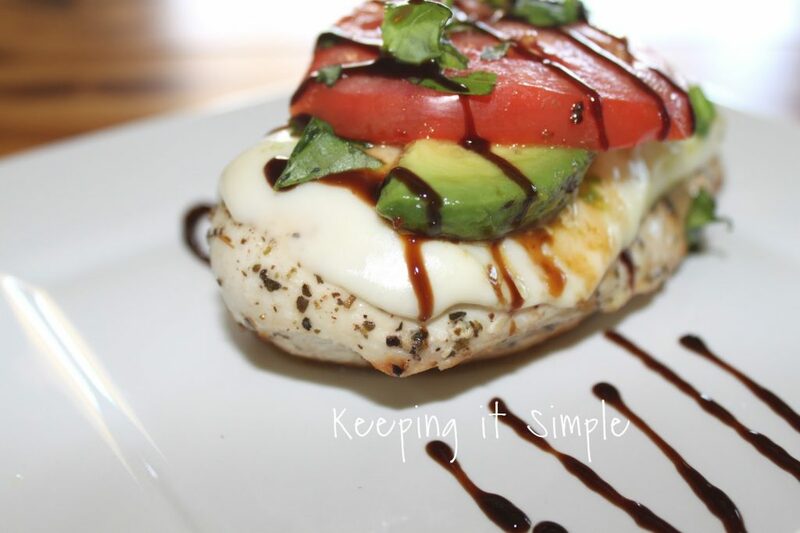 I made this 15 minute Caprese chicken and it was amazing! It was so good, so easy to make and it will now be our new comfort food! 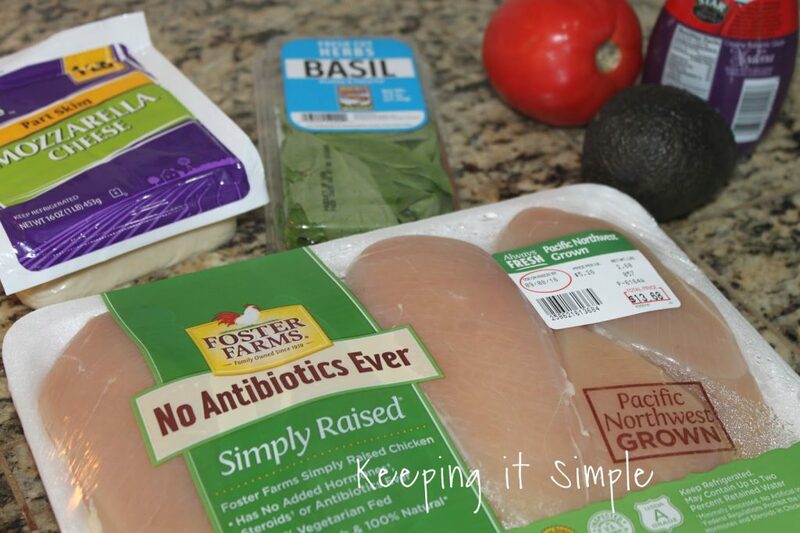 I used the Foster Farms Simply Raised chicken because it is locally grown and it is always antibiotic free. They make sure that there isn’t anything in their chicken that’s not supposed to be. Print off this $1.00 off coupon to save on their amazing chicken. 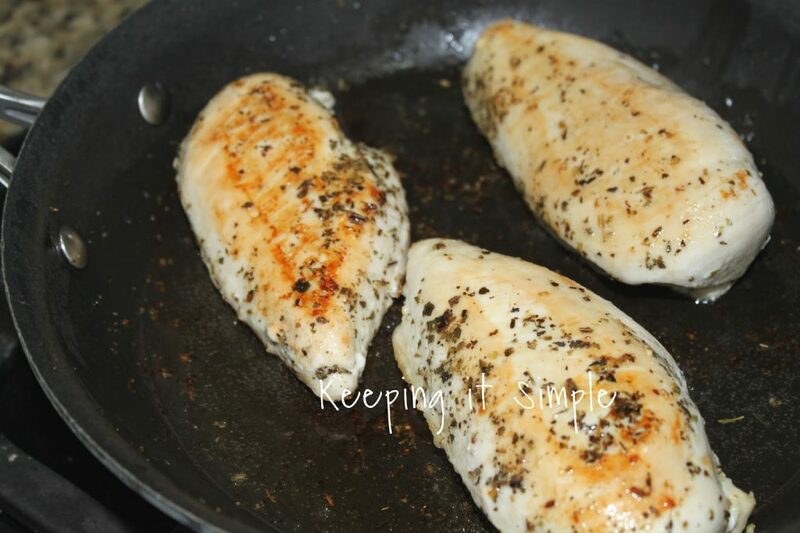 Cook the chicken in a skillet with olive oil. Add salt, pepper, garlic powder and Italian seasoning. Cook each side for 5-6 minutes. 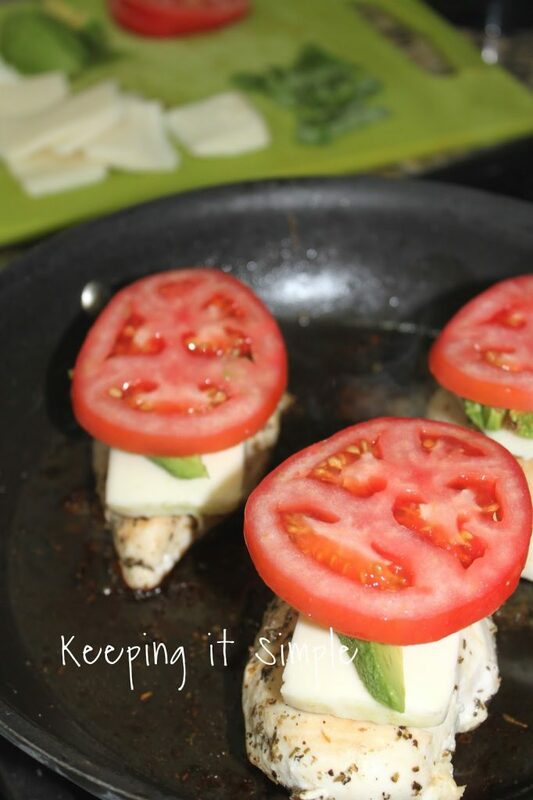 Add one slice of cheese, tomato and avocado onto the chicken and cover. Cook for 1-2 minutes or until the cheese is melted. Remove from heat and add the basil and balsamic glaze. 1) Cook chicken in skillet with some olive oil. Add salt, pepper, garlic powder and Italian seasoning to taste. Cover and cook on both sides 5-6 minutes or until brown and cooked all the way through. 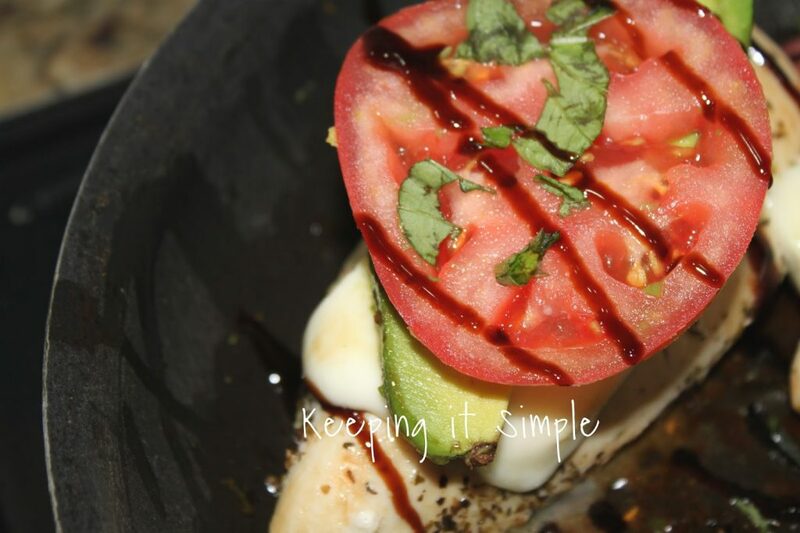 2) While the chicken is cooking, cut up tomato, avocado, cheese and basil. 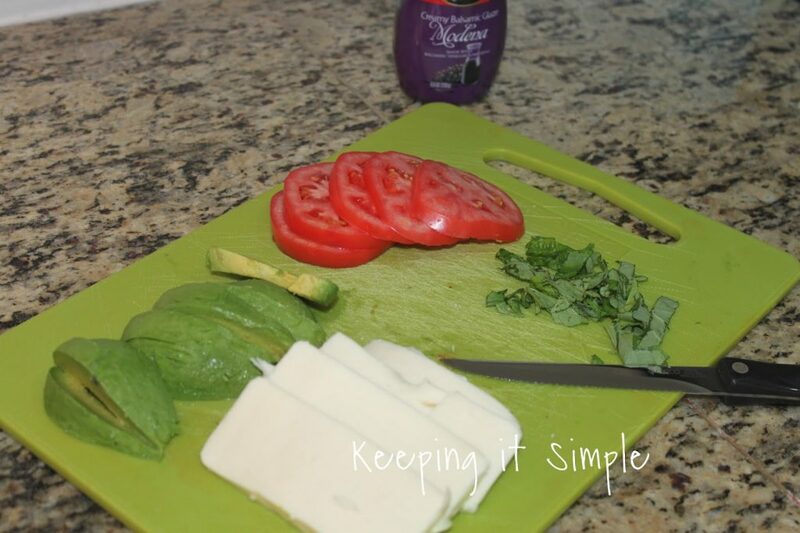 3) Add one slice of cheese, avocado and tomato and then cover and cook for 1-2 minutes until the cheese is melted. 4) Add basil and drizzle balsamic glaze over. And that’s it! It makes for a great meal. The best part is you an make as little as one or as many as you would like. The combination of the spices, chicken and toppings was just amazing! I will definitely be making this a lot! 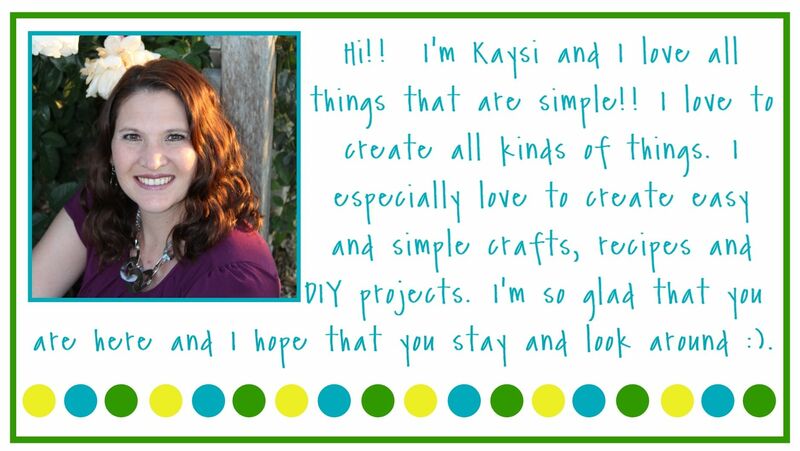 When I served it to my kids they thought that I was all fancy (I felt all fancy too!). People will be surprised that it only took 15 minutes to make. If you are in need of a new chicken recipes, check out these amazing and easy recipes here. I may have to make this. Looks really yummy! Even with the tomato! This looks so good! I often like chicken with a mustard sauce and a tint bit of bacon. I think I'm going to try this recipe. Looks good and I have everything in the fridge. This looks really good. I like the idea of using big chunks of mozzarella. I would also try the Chicken Caprase Zoodles. This looks so good. I like the idea of big chunks of mozzarella. I would also try the Chicken Caprase Zoodles. 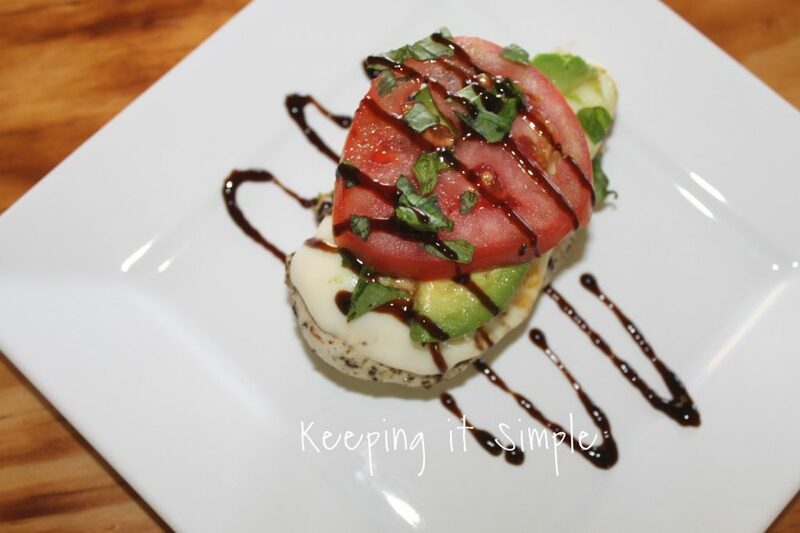 Looks amazing and it's fairly low carb! Chicken Lettuce Tacos. Yum, Quinoa and avocado! I would like to try and make the Chicken Lettuce Tacos. I would like to try the Chicken Pesto Flatbread recipe. I would like to try Chicken Piccata Soup. I really want to try the chicken pesto flatbread. I want to make the Chicken Sesame Stir Fry recipe! I would like to try the Fresh Tomato & Basil Chicken with Garlic Zoodles. 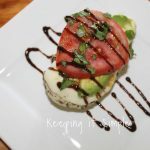 i'd like to try the chicken caprese zoodles! Chicken lettuce tacos look really yummy! The Chickens lettuce tacos look yummy! The chicken lettuce tacos look really good. I would love to try the chicken sesame stir fry. Looks delicious! And super fancy! The fresh rosemary chicken sounds good! Looks like a really tasty meal! The Spinach Stuffed Chicken Breasts looks so delicious – I'm definitely going to try this recipe. what do you use for the glaze? Is it store bought?